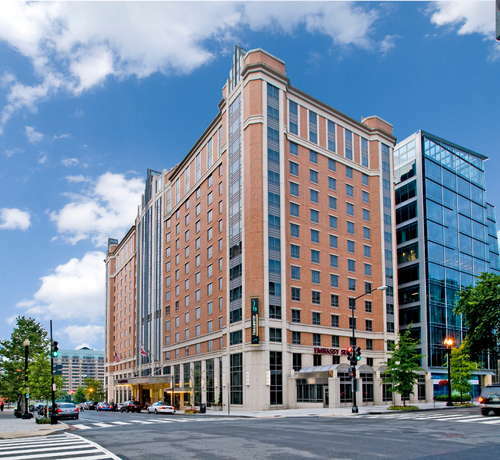 This reliable go-to chain hotel, with its fabulous complimentary manager’s happy hour and sumptuous breakfast buffet (with cook-to-order omelets), is in a prime location near the convention center, with the National Mall within easy walking distance. The recently renovated rooms are spacious and comfortable, with pullout sofa beds for extra sleeping space and kitchenettes with microwaves and small refrigerators. 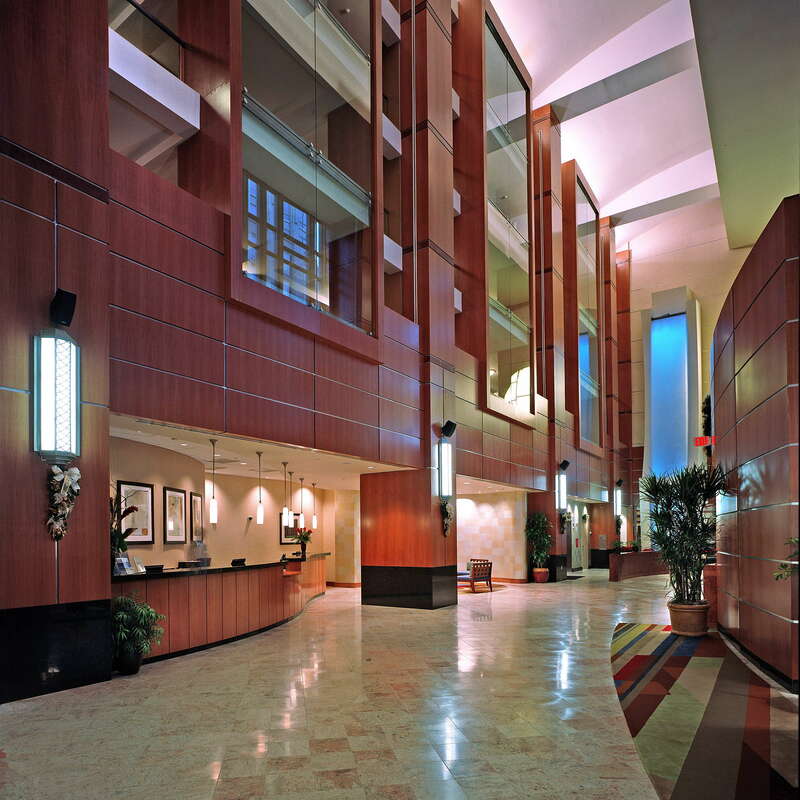 It’s perfect for business, families and anyone looking for a steadfast, no-frills experience. Great value for the money. There’s a guest laundry in the basement--$2 per load. The best thing about the Embassy Suites is, just that—they’re two-room suites that feel like apartments. 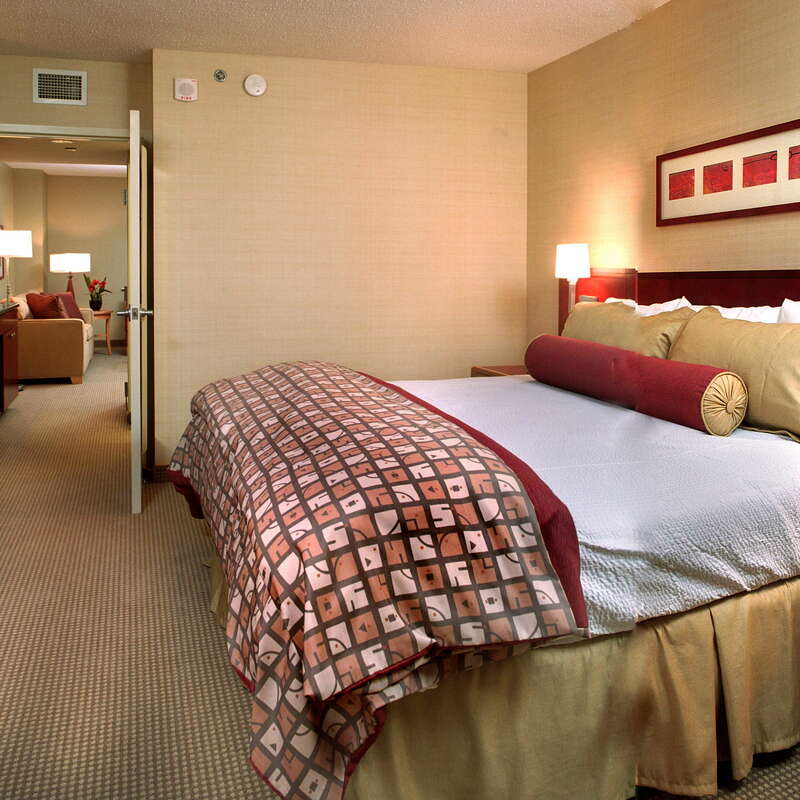 All rooms have a living area with a sofa bed and work table, kitchenette with refrigerator, microwave, and coffeemaker, and a separate sleeping space with comfy beds. The red-and-tan décor is fairly genetic, but that’s not why you’re here. The bathrooms are standard with tub/bath combos. It’s a disjointed lobby with loud music, red leather chairs clustered about for networking and orchids adding splashes of color. You may not want to hang out here too long, but it’s fine for waiting for a friend or getting organized at the start of your day. There's an indoor pool and hot tub. YOU SHOULD KNOW The pool can be crazy with kids, especially in summer. 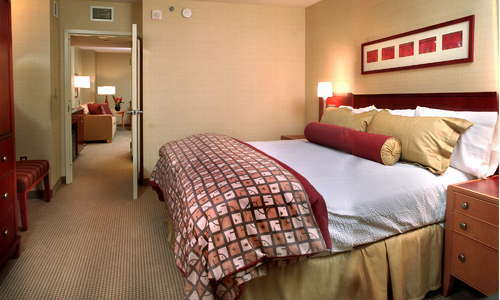 The small fitness room is sufficient, with treadmills, elliptical machines and hand weights. 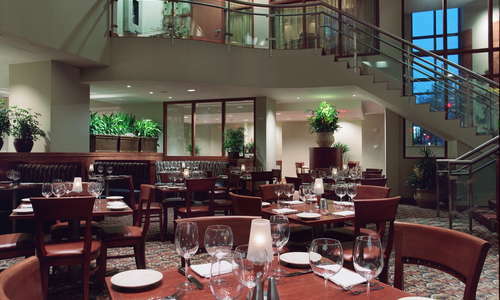 The Finn & Porter Restaurant serves contemporary American cuisine. It’s great if you’re in a pinch, but, honestly, the hotel is located in the middle of one of the city’s best restaurant scenes; the best food choices await outside. The Finn & Porter Restaurant’s bar is the perfect place to watch the game or enjoy a local craft brew. Watch for Game Day specials during major sporting events. 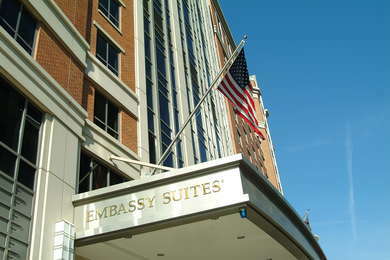 The Embassy Suites is conveniently located in downtown DC, with the convention center, Chinatown, and Penn Quarter’s buzzy restaurants (and National Portrait Gallery and Smithsonian American Art Museum) within easy walking distance. Your best bet for public transportation is Metro, with the Mount Vernon Square station two blocks away, and Metro Center just three. Matchbox (7-minute walk) gives you yummy, brick oven pizza in a contemporary setting. 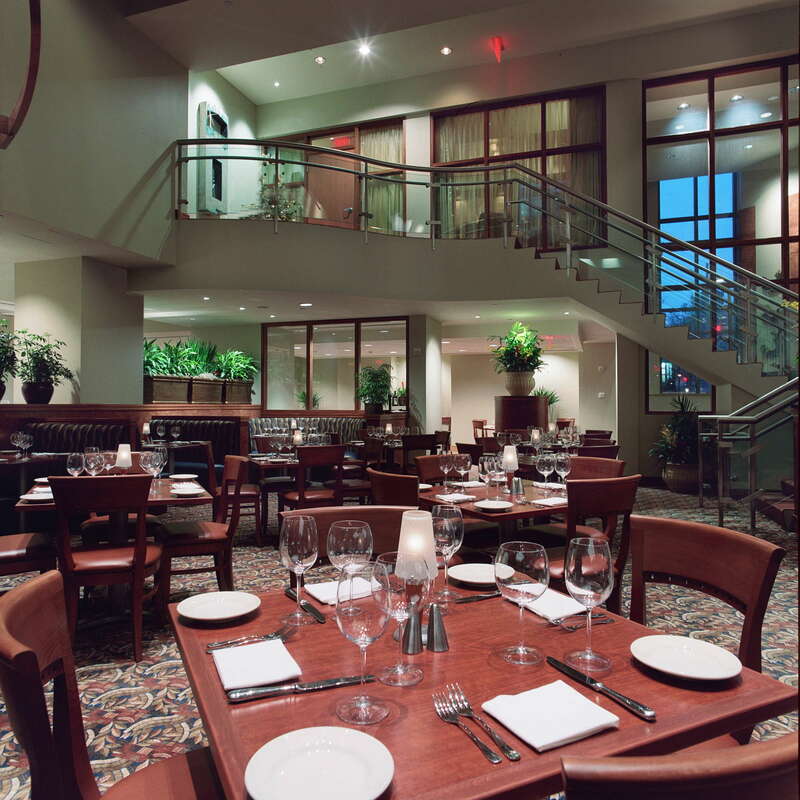 Clyde’s of Gallery Place (9-minute walk) is a spacious, classic American-style restaurant with an extensive menu: hamburgers, steaks, salads, seafood, etc. The raw bar happy hour must be one of the city’s greatest deals; the menu is 50 percent off between 3 p.m. and 6 p.m. and 10 p.m. and 1 a.m. (2 a.m. on Fri and Sat) 7 days a week. Fado Irish Pub (7-minute walk) is a fun, lively place for pub fare and live music. Gordon Borsch (8-minute walk) serves German-style beers in a pub/restaurant carved out of the beautiful old Riggs Bank building. 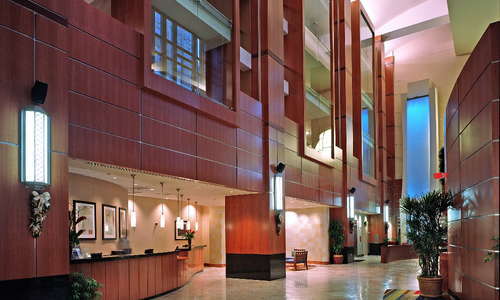 The Embassy Suites is like an old friend—you know exactly what you’re getting. In this case, it’s the perks that count the most, including the manager’s two-hour-long happy hour (free wine!) and the amazing buffet breakfast. It's easy, comfortable and dependable. #2 The Best Hotel Rooftop Bars in Washington D.C.